A report by leading academics calls for the Food and Agriculture Organization (FAO) to change the way it operates and shift to a greater focus on “global public goods” such as data and analysis, though some of its findings are rejected by a senior FAO official. The report, entitled Time for FAO to Shift into a Higher Gear, has emerged from a Center for Global Development (CGD) working group of 21 academics and experts on food security. It argues that FAO has the potential for greater, wider-reaching impact if it moves away from a focus on local, short-term projects. "We think by 2050, there will be two billion more people on the planet. There are a number of factors affecting the supply of food, including climate change and other factors that might cause volatility in the production of food,” said Vijaya Ramachandran, lead author of the 21 October report. “We need to worry about having a proper agency that will guide the thinking and policy dialogue around increasing the productivity of agriculture and increasing our food supply." FAO strongly disputed some of the conclusions, dubbing the report “inconsistent and schizophrenic”, and arguing that many of its recommendations had already taken place. “It says `move away from production’, then it says `production is key’. It says `social protection is vital’ (and that is what FAO is introducing), but then it says `social protection is not good enough’,” Enrique Yeves, Chief, FAO Office for Corporate Communications, told IRIN by email. The CGD report calls for greater attention to areas where FAO can be most effective - problem-solving and providing services that cannot be undertaken by any one country alone. Although definitions and usage of the term vary, essentially an item that is non-rivalrous (its consumption does not reduce the quantity available to other users), non-excludable (it is not possible to prevent anyone from using the good), and is available in most parts of the world, is considered a global public good. Examples of such items include data compiled from multiple countries, weather reports and responses to global health crises. FAO provides early warnings on impending hunger, pest and disease crises. “It tracks emerging threats from locusts in North Africa, the Middle East, and India, and is developing a new Locust Watch program for the Caucasus and Central Asia,” said the report. A sixth technical objective covers the provision of technical knowledge, quality and services for the work of the Organization. In particular, reliable data collection needs to be emphasized. “FAO is an important source of national and regional data on food production, utilization and prices. These data are critically important for monitoring the long-term trends on various aspects of agricultural production and are used by national and international agencies for their planning purposes,” said Suhil Pandey, an agricultural economist and author of several studies on food security in Asia. It is also an area where food and agriculture issues can be debated neutrally, and is a source of publications on technical matters and the broader policy agenda. "FAO can make a huge difference in the world, but only if it does the right things better - and stops doing things that can be done as well or better by national governments, NGOs, and bilateral and multilateral funders," said CGD President Nancy Birdsall in a press statement for the report. To do this, however, the organization needed to focus on areas where it is in a position to provide added value. “FAO’s global perspective and cross-border reach, the respect and trust it continues to enjoy in developing countries, and its network of agricultural and economics experts are its strongest assets,” said Birdsall. Where is FAO going wrong? Since at least the 1990s, FAO experienced institutional decline, says the report, and funding to the organization was cut. In 2007, the organization commissioned an independent review of its performance and the findings of that analysis recommended sweeping changes to the way FAO operates. The evaluation said senior management failed to adequately strategize and reformulate itself to deal with the cut in resources, and as a result lost focus. Further, it found that FAO did not form partnerships with key players in the food security field, and relied too heavily on agricultural ministers for support, many of whom suggested local projects at the expense of global public goods. 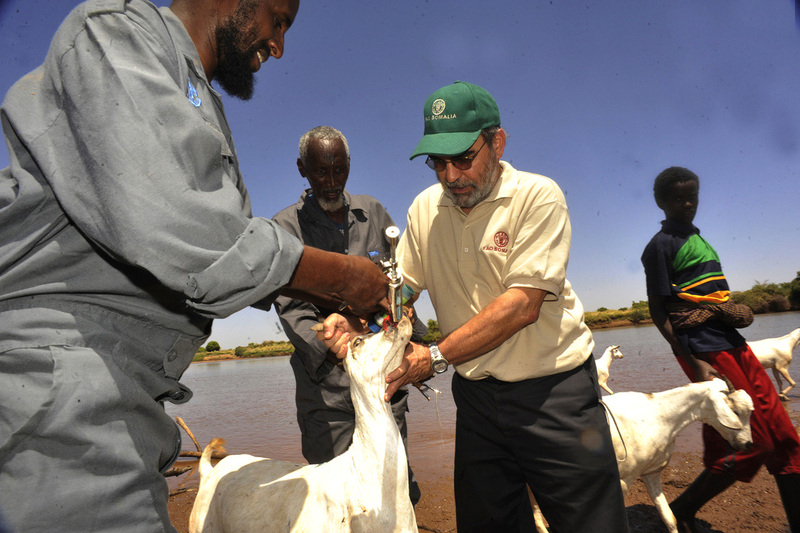 As a result, FAO’s technical capacities and expertise were severely diminished. “FAO needs to re-establish its world-class expertise in areas where it has a comparative advantage,” said Jikun Huang, director of the Center for Chinese Agricultural Policy at the Chinese Academy of Sciences, and a member of the working group. In line with the 2007 evaluation, FAO has attempted to enact reforms, by cutting their budget, setting a clearer vision and streamlining activities. Graziano da Silva, the new director of FAO who took office at the beginning of last year, noted that the organization has saved US$25.8 million in the last 16 months, almost four times the amount of savings mandated by member countries to identify. "For the first time in FAO's history its budget will be driven by the objectives and outcomes we aim to achieve, and not simply by the activities we carry out," he said in April. Da Silva said FAO would look to reinforce its technical capacities in the field, the integration of social protection into poverty reduction aims, its communication, advocacy and partnerships development and its monitoring capabilities. “We are speaking of an ambitious transformation that has just started. Its impact is not always immediately visible. But it is, nevertheless, essential so that FAO can function in the 21st century and fulfil the role for which it was created,” he added. “Since January 2012, FAO has made a quantum leap towards it basic mandate of hunger eradication and food security, looking outwards at what it needs to achieve,” said Yeves. The organization is now taking a more targeted, but inclusive approach in its aims. “Fewer and more cross-cutting strategic objectives focus FAO's technical capacity and comparative advantages in a holistic/results-based manner - moving away from well-intentioned, but piece-meal projects to initiatives that contribute directly to achieving those objectives,” he added. The CGD report also found that FAO had already implemented many of the 2007 review recommendations, but urged them to do more. Thirty-seven percent of FAO’s non-emergency budget is allocated to activities that take place at the local level, according to the CGD report. The working group recommends that this figure be cut to just 5 percent. But Yeves rejected this claim. “Today, FAO is a different beast,” he told IRIN. “This is because Graziano da Silva is a different animal, with a lethal combination of academic and political success in the field.” He pointed out that since da Silva had taken over, FAO members have endorsed all his proposals. “Certification and data-sharing are examples of initiatives that we can hope for, but the impetus here will have to come from companies, FAO staff, national governments, and innovative international NGOs,” she told IRIN. Investing in new research and technological expertise will also put FAO at the forefront of innovation. "Lower yields due to climate change, rising energy prices, increased demand for meat and protein-rich foods due to income growth in emerging economies, and two billion more people in the world by 2050 will all combine to make it incredibly hard to provide enough safe, nutritious food for everybody," said Peter Timmer, the Thomas C. Cabot professor emeritus of Development Studies at Harvard University. "Increased production will be key,” he said. “It is impossible to consume food that is not produced."